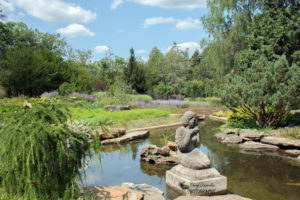 Royal Botanical Gardens is located in Burlington, Ontario and boasts four distinct gardens within 1100 hectares of nature reserve. Visitors can enjoy the diverse collection of plants during the ever changing seasons and explore the 27 kilometres of nature trails. The Royal Botanical Gardens Centre is the main focal point and is open to visitors year round. There are both indoor and outdoor displays including the Mediterranean Garden. You may also access Hendrie Park by way of an underground tunnel. 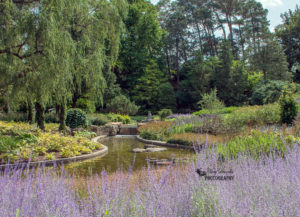 Hendrie Park contains many different plant collections and interesting landscape features including the Centennial Rose Garden, Morrison Woodland Garden, Veggie Village, Global Garden and many others. 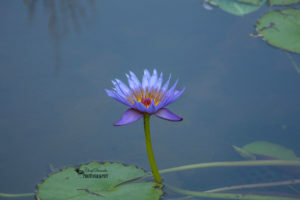 It was the starting point during my visit to Royal Botanical Gardens to celebrate my mom’s birthday. 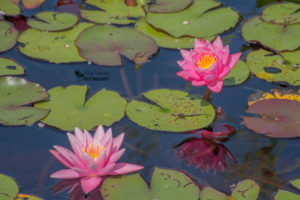 My family and I walked towards the Turner Pavilion Tea House past the reflecting pools and entered the Helen M. Kippax Garden. 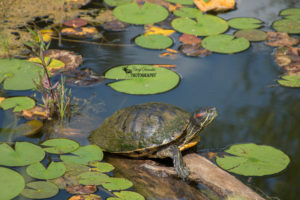 A small pond was at the entrance of the garden and resting on a log sunning itself was a Red-eared Slider Turtle. After exploring that garden we walked down some of the other pathways and entered the Veggie Village where we saw peppers, tomatoes, eggplant and many other vegetables growing. 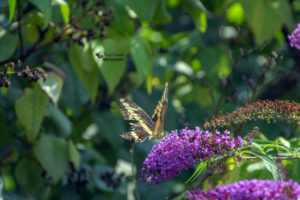 We then made our way into the Scented Garden where I saw a Swallowtail Butterfly on a lilac plant and a cricket feasting on a daisy flower. Our final stop in Hendrie Park was the Global Garden where there were plants and flowers from the Pan Am countries of the world. The Rock Garden was our next destination during our visit which has been completely rejuvenated and is a modern interpretation of sustainability in garden design and management. 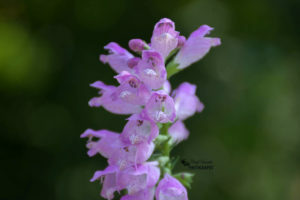 Each plant selection including pollinator friendly plants and species native to Ontario provide for various colours and textures throughout the seasons. The main visitor centre opens up to the gardens below with walkways and waterfalls. 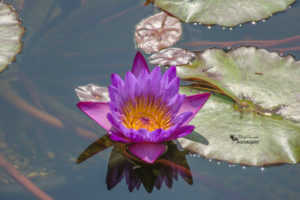 There were also waterlilies in bloom including one purple one that caught my eye. Its petals appeared like silk and its centre looked like it was on fire. 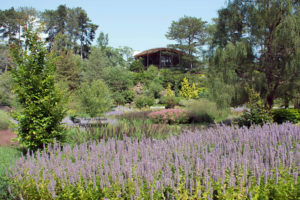 The last garden we visited was Laking Garden which is home to the Royal Botanical Gardens perennial collections. 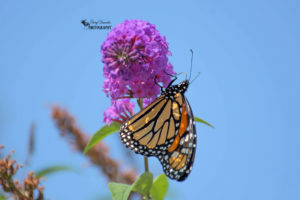 Since my family and I were getting tired we did not enter into the lower terrace but instead enjoyed the Barbara Laking Memorial Heritage Garden where there were plenty of butterflies and insects enjoying the beautiful flowers. 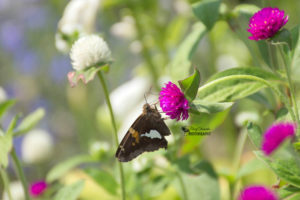 Including a Silver-spotted Skipper Butterfly enjoying some delicious nectar. 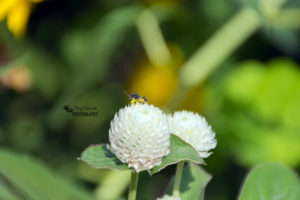 Below are the photos taken during my family’s visit to Royal Botanical Gardens. 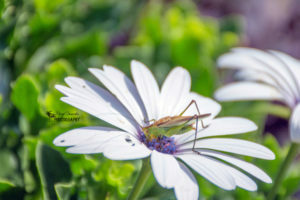 This entry was posted in Nature Photography and tagged beautiful, Burlington, butterflies, butterfly, Camera, Canada, flowers, gardens, insect, insects, nature, nature photography, Nikon, Nikon D7200, ontario, outdoors, outside, Photo, Photography, Royal Botanical Gardens, turtle.